Looking for the perfect present this holiday season? Know someone who would be interested in giving a gift that truly “keeps on giving”? As you know, the benefits of music not only last a few months or a few years – they last a lifetime. This year, Grandma, Grandpa, aunts, uncles, friends, or anyone, can give the gift of music. 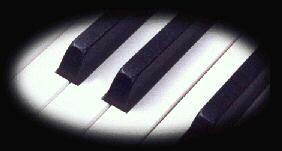 I have gift certificates available for Kindermusik or Piano Lessons in any denomination. Gift givers can get in touch with me by phone or email and I will provide simple instructions for purchasing a gift certificate to be applied toward music lessons at our studio here in Oxford. Gift certificates purchased before December 10 are sure to arrive in the mail in plenty of time to find their way under the Christmas tree, into stockings, or get hand delivered with a hug. Are you wondering if grandparents love giving Kindermusik as a gift? Just check out this video of a Kindermusik grandma who has pledged to sponsor Kindermusik for any of her 17 grandchildren who want it! If you have any questions about purchasing gift certificates, I’ll be happy to answer them for you. 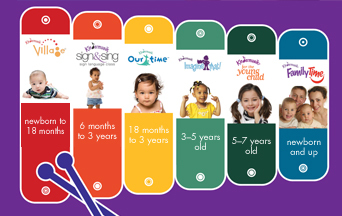 Online Kindermusik registration is up and running! You may also print the registration form and send it in. Did you realize we have Gift Certificates available? Family members can contribute towards Kindermusik classes or Piano Lessons. How often do I hear parents moaning about the huge amount of toy clutter that comes into their homes this time of year? The gift of music lasts a lifetime!